This is a really good explanation of what it’s like! Thank you for this. I’m a co-sleeping, breast feeding, gentle 1st time mama. My baby girl Iris (3months) is one of these bubbas that finds it so hard to sleep. I spend hours bouncing on a excercise ball, cuddling and shhhing/singing my crying baby to sleep. If I didn’t, she would never turn off. I don’t question doing this, as I know she needs my help to find her way to sleep, but I do often question if she’s happy in my arms. I worry that, all that crying is damaging her and creating stress in her, even though I am holding her lovingly and calmly (mostly calmly.. It hurts my heart sometimes) through it all. It’s so great to hear that she is not feeling the same as these little babies that are left alone to cry. Thank you so much for constantly making sense and keeping it real. This mama appreciates it so, so much! I have heard that babies need to be lying down in order for it to be considered restorative sleep. What are your thoughts on that? I find it impossible to find enough time in the day for my 1 month old to have enough lying down naps in the day when we have to go out doing errands during the day. Does it count as a nap when I have her in her sling or wrap against me? Thank you for this! As I type right now my little munchkin is happily passed out in her sling and I’m able to enjoy my breakfast while she sleeps much better than she would if I was to put her down. It’s tough to sift through the information about sleep, especially at 3 in the morning when all I want is some sleep. 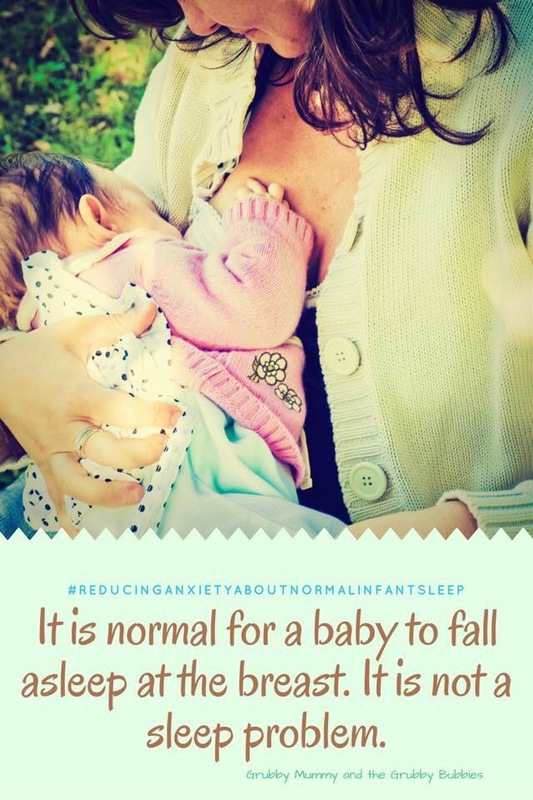 Your posts help me to remember that my little one needs me and that she is normal for waking and I shouldn’t be expecting or training her to sleep through the night.